**TURNKEY FURNISHED** Bright, airy and invitingâ¦ welcome to this gorgeous 3/2/1 beauty in the Kensington Preserve community of sought-after Plantation Golf & Country Club. A private entrance and short interior staircase lead you to a beautiful open floor plan design, complete with vaulted ceilings, large tiled flooring, eat-in kitchen, dedicated dining room and spacious living room. Master bedroom features bay window, large en suite bathroom with dual vanity, and roomy walk-in closet. A sizable den leads to a screened in lanai with Key West style ceiling fan and preserve views, perfect for enjoying morning coffee. Impeccably appointed with custom window treatments, plantation shutters, and decorator ceiling fans. 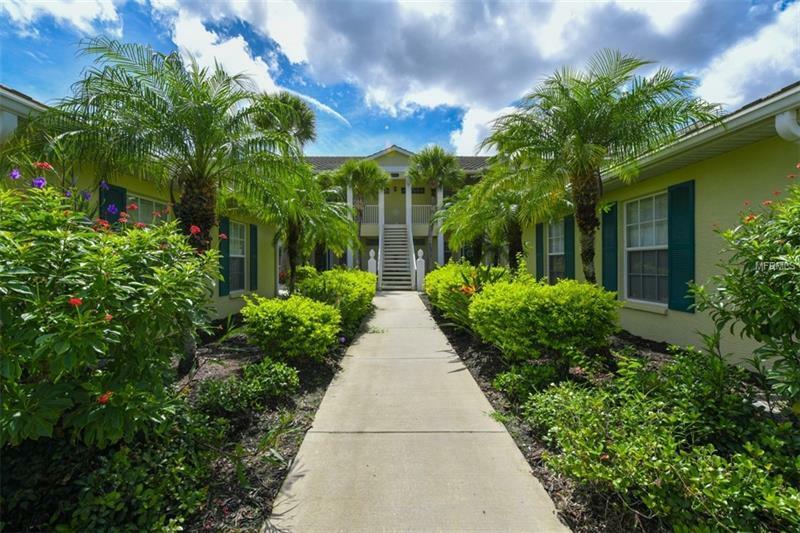 Ownership includes access to community pool and neighborhood clubhouse/cabana, with option to add on golf, tennis, or social membership at Plantation Golf & Country Club. This gem is a Must See!